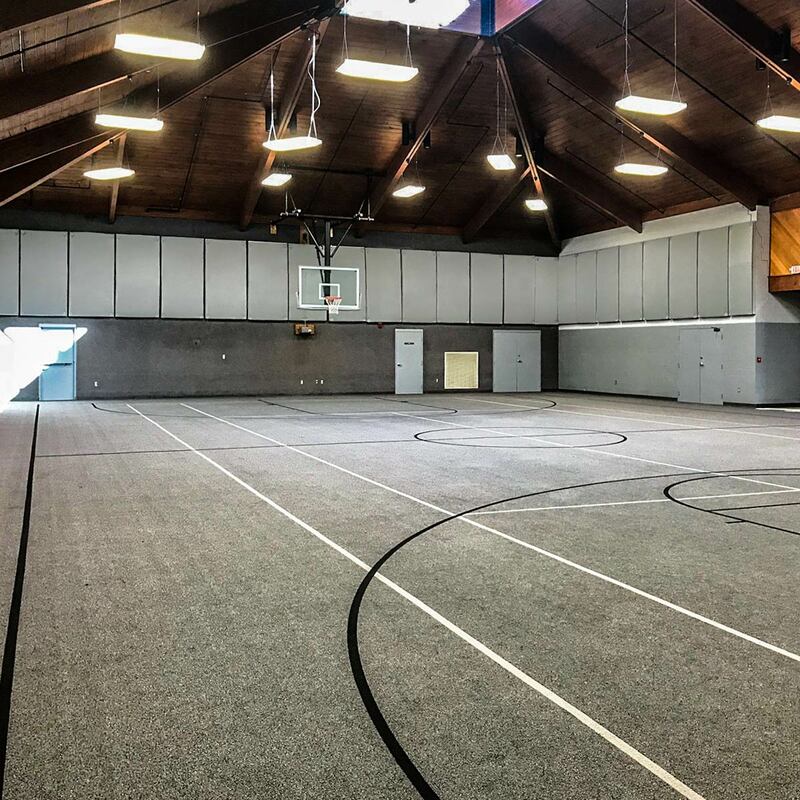 The Pritchard Community Center was in dire need of an economical, durable solution for their two community oriented gymnasiums. 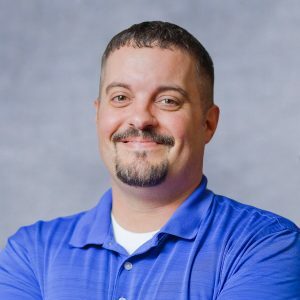 As the local community hub, the center also serves as the headquarters for the City of Elizabethtown Parks and Recreation Department. 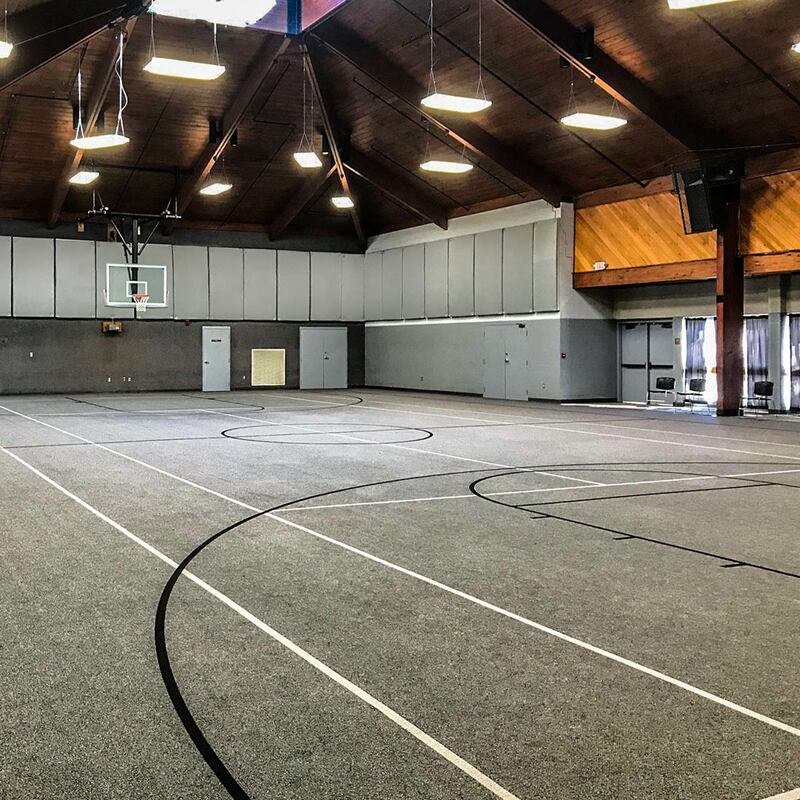 The center offers year round indoor and outdoor basketball courts, a gym area featuring a universal weight machine, two treadmills, a stair climber, miscellaneous weighted dumbbells, as well as two racquetball courts and a ping pong table. Indoor tennis is available on a seasonal basis, Mid November-Mid March. 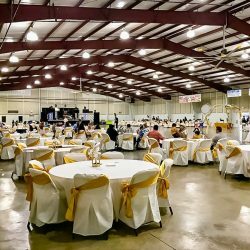 The facility rooms at the center are used for wedding receptions, car shows, a kid’s consignment sale, a quilt show and various organization conventions. 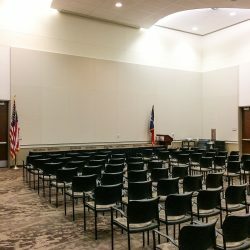 Civic organizations use the multipurpose center on various occasions and the center also doubles as the local emergency shelter for our Red Cross Chapter. The City of Elizabethtown contacted us originally with the following issues. They have 2 gyms that are multipurpose rooms where the echo was just too loud. 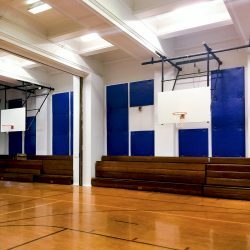 They play basketball there and require a panel that can hold up to basketballs hitting them and can come back to original shape. Because of the sprinkler system, we were unable to use baffles or clouds. 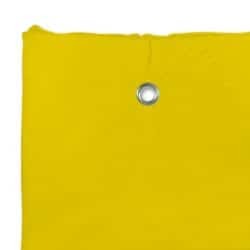 They wanted something that they were able to choose a color on, wouldn’t break the bank and would stand up to the occasional basketball impact. 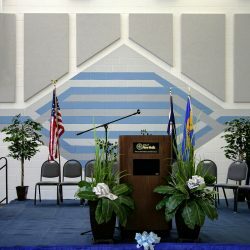 I decided that flush mount AlphaEnviro® Ripstop Acoustic Panels using fender washers would be the best option. We were able to come up with the recommended total square footage necessary, based on the dimensions and cubic volume of the space. 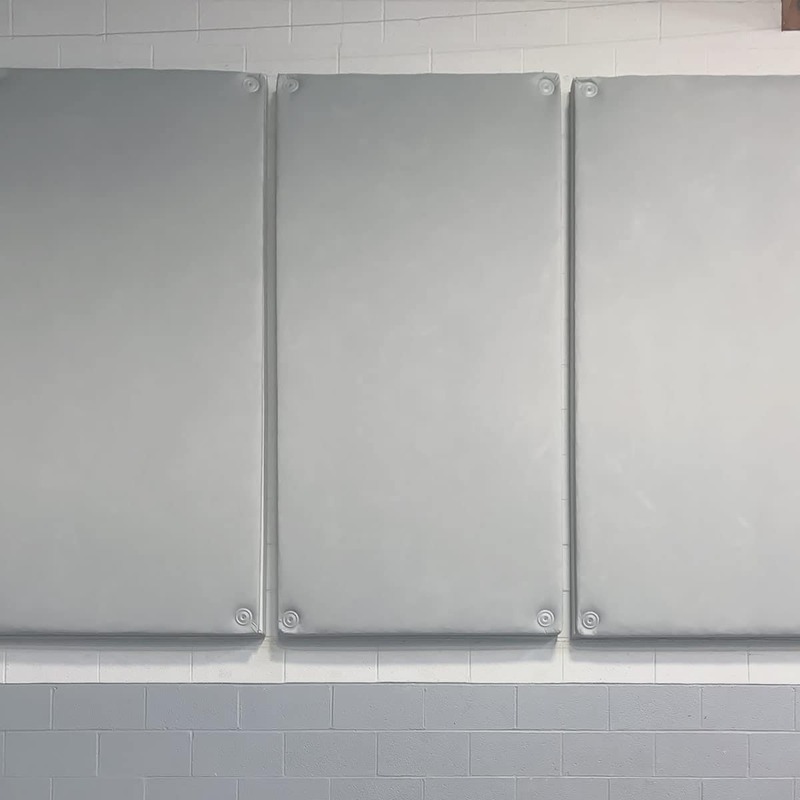 They also had some exit signs and HVAC that we needed to work around, so we included some custom sized panels for an exact fit. 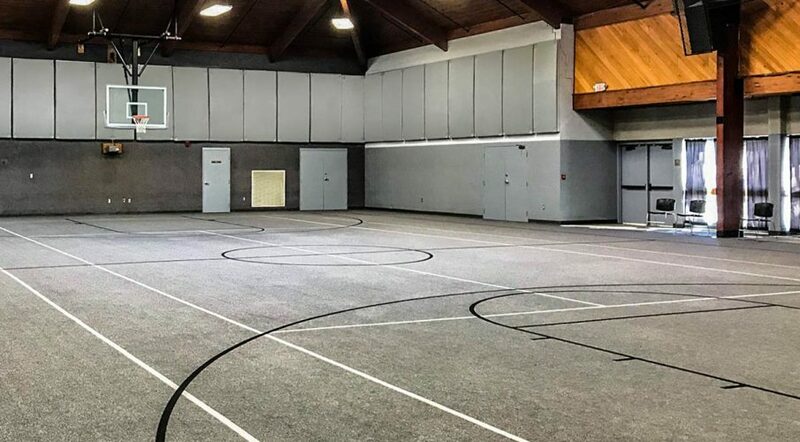 They loved the treatment in their first gym so much that they decided to do the other gym, as well. 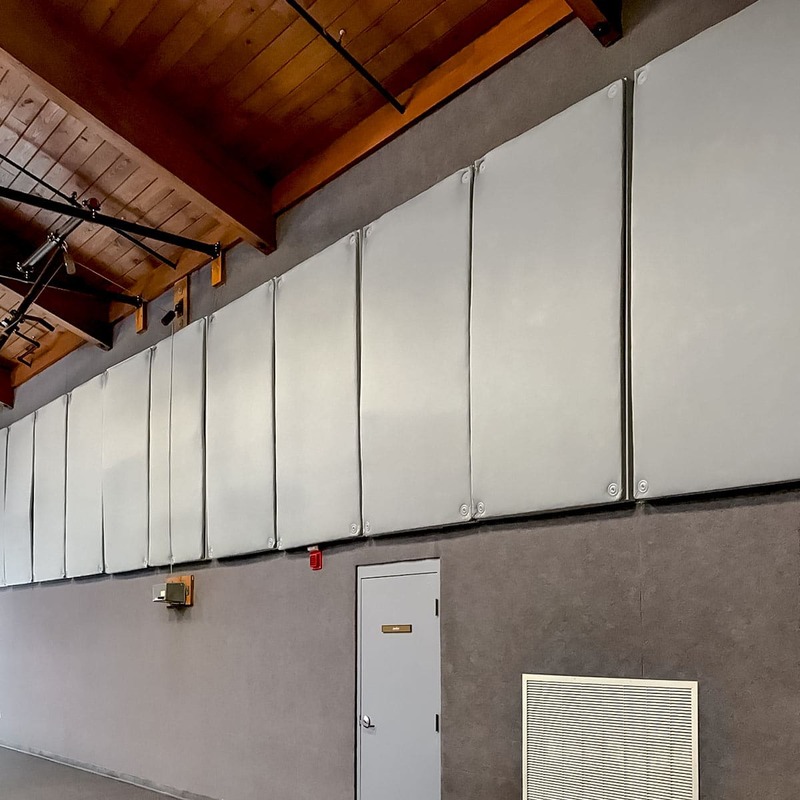 By installing the AlphaEnviro Ripstop baffles, they were able to reduce the reverb time significantly. 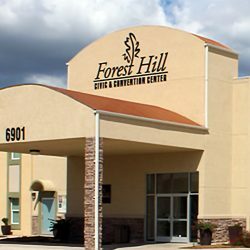 This led to better speech intelligibility and an overall better experience for guests.